Archives & Special Collections is where we keep records and artifacts that relate to the University and its history, as well as the University's collection of books about Pennsylvania history and other publications of unique value. We also have a collection of rare books on a variety of topics. 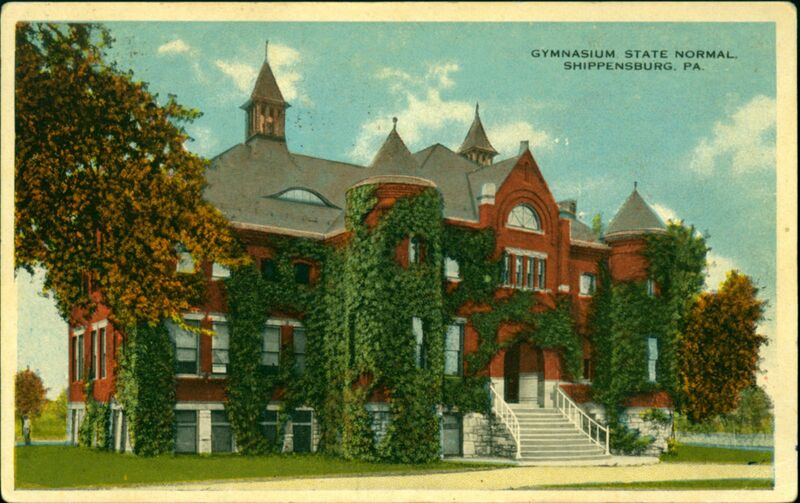 The Shippensburg University Archives collects, organizes, makes accessible, and preserves non-current records documenting Shippensburg University’s origins and development, including the activities and achievements of its offices, faculty, students, alumni, and benefactors. The Archives preserves materials of enduring historical or informational value to serve as Shippensburg University’s institutional memory in support of administration, teaching, research, and service. The Archives promotes a greater awareness, knowledge, understanding, and appreciation of the history, programs, and goals of Shippensburg University. The Archives is vital for supporting understandings of American life as it is lived at Shippensburg University through the management and retention of its personal, academic, and social memory. Search for archival materials using ArchivesSpace - our catalog for institutional records and manuscript collections. If you cannot find the information you are looking for in ArchivesSpace, view our finding aids, or contact us for research assistance. We are happy to look up information for patrons using our in-house inventories, which have not yet been made publicly available. To find books located in the rare book room or special collections, search the library catalog. Tips for searching the library catalog can be found on the Special Collections and Rare Books page.